Google makes daily changes to it’s search algorithms. One day they’re turning up the dial on knowledge graph cards and another they’re turning off authorship completely. 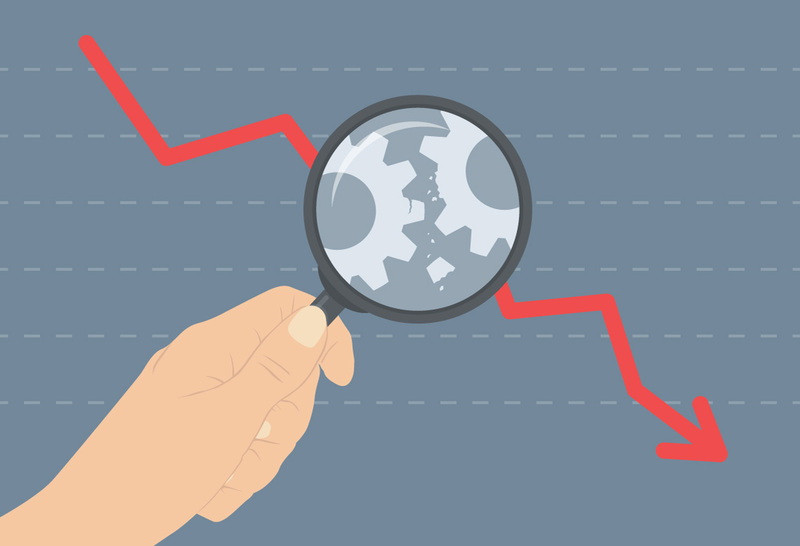 With all of this constant change, how can you tell how this affects your organic traffic? Step 1: Establish a timeline for your website. Have you recently made any big technical or content changes to your site? Plot those dates on a timeline. It’s important to keep accurate records of major changes to your site. This way, when you look back 6-9 months, you’re not guessing what happened. Step 2: Pull your organic web analytics reports. Pull the right reports from your analytics to identify organic traffic changes. Make sure you are only looking at daily traffic that came from non-paid search engines, specifically Google. Step 3: Examine the symptoms. Like a doctor, you need to examine your analytics to uncover algorithmic symptoms. Was the drop/rise in traffic sudden or did it occur over the course of several weeks/months. Signs of algorithmic change include sudden changes to your traffic. If it was a gradual change it could be more of a seasonal or competitive change that is affecting your site’s organic performance. Step 4: Compare traffic changes to Moz’s Algorithmic Timeline. Did the sudden change in traffic happen within a week of a major algorithmic change? Most algorithmic changes roll out globally over the course of a week or two. 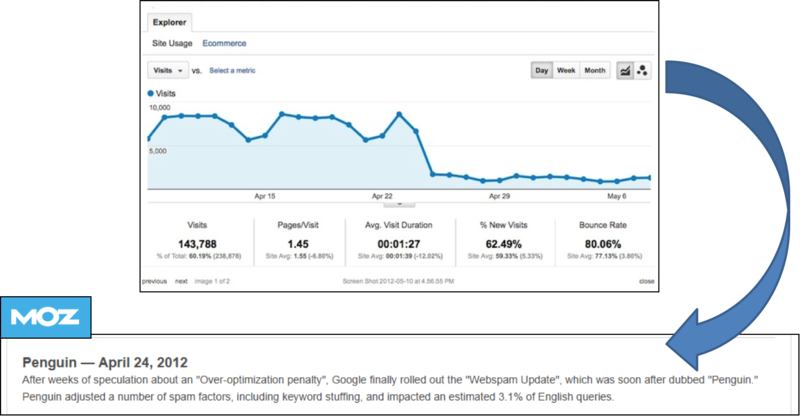 Compare the dates of when your organic traffic suddenly changed to the dates on Moz’s timeline. If these two dates don’t align, did the sudden traffic change occur when you were making technical changes to your site? Technical changes could include adding/deleting content, redirecting your domain, adding redirects, adjusting robots.txt, and more. Step 1: Fix it yourself. If you’ve been hit by Panda or Penguin, here is a cheatsheet you can use to start working towards eliminating the penalties effect on your site. If Google has taken manual action against your site, for violating webmaster guidelines, you may find out from Google Webmaster tools clearly what you are being penalized for. Step 2: Hand it off to a partner. A partner specialized and experienced in working with clients in removing algorithmic penalties can help you overcome link, content, security based issues. Depending on the severity of the situation, a partner may be more technically inclined, equipped, and could fix the issue faster than you could. Step 3: Collaborate with partner. You understand the root cause of the algorithmic change and how this will affect you in the long term. You know how to avoid similar penalties in the future. Changes are implemented internally and digitally within an agreed timeline.